I am imagining a conversation between the two film script writers, named Mr. Allan and Mr. Palmer. Note, the names are purely fictional. Any similarity with real people is purely coincidental. Mr. Palmer: Let's do it with pigeons!! Hitchcock did it before with birds, now we can create avian terror again!! Mr. Allan: Hitchcock used crows!! Crows are traditionally sinister creatures but pigeons are harmless. You will never see a pigeon eating the eye of a hanged person. No one will feel fear with pigeons. 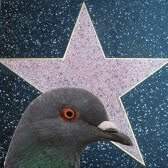 Mr. Palmer: Maybe the effect of one pigeon is negligible but if we create a horde of dangerous pigeons we will make the public fear the birds again. Mr. Allan: You are insane. And they made it.... first they set the location, one of the most pigeon-busy areas in the world: Trafalgar Square. Then, they introduced the movie plot, an alteration in the Earth's core that changes the magnetic fields and turns the pigeons disoriented and a bit crazy. Finally, the context, a flock of pigeons with suicidal tendencies. Without the context it looks like a typical pigeon flock, but it actually is an horde of terror. Suddenly, the pigeons lose control (because of the change in the magnetic fields) and start smashing into everything around them. People panic and start escaping from the square. A terrorized family escaping from the pigeon horde. In the scene, most of the pigeons are CGI animated, like the screen shot below, where we observe a quite rigid pigeon hitting a car windscreen. Computer-generated pigeon hitting a windscreen. However, to add extra realism, other pigeons are genuine, like the one standing bravely on the steering wheel of a bus.The bus driver, in contrast, seems to be scared by the avian presence. A real pigeon scaring a bus driver. The pigeon is now in the control of the bus. Finally, the pigeon turns out not to be such a good driver and causes the bus accident. Other vehicles also collide in multiple road accidents. A total disaster. The calamity extends to the surrounding area when tens of pigeons crash into shop windows, breaking the glass and increasing the havoc. It is worth mentioning that for completely unknown reasons, the CGI replaced one pigeon with a fish (screenshot below) at the moment of hitting the glass. Maybe was a mistake, a problem with the software repository, or a kind of joke, because pigeons and fish tend not to fly together. The complete scene can be seen here. When tens of pigeons break the glass one flying fish appears in scene. 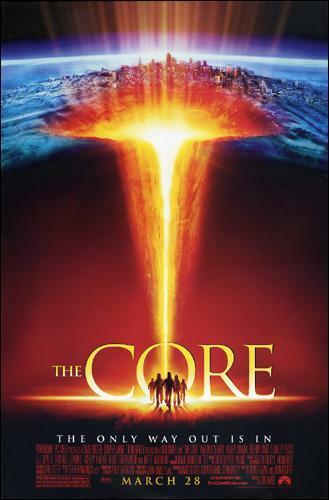 Symbolism: The film introduces several examples that represent how disastrous a change in the Earth's core could be for nature. In particular, the scene shows how innocent animals - the pigeons- can be turned into dreadful kamikazes by the Earth magnetic fields. 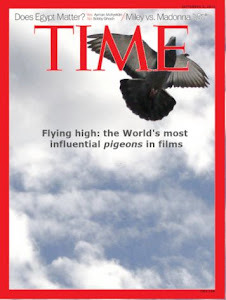 Relevance: Medium, in the scene many people are scared and injured because of the chaotic actions of the pigeons.Unfortunately, there are not consequences for the remaining film plot. Training level: Medium. Most of the animals are computer-made, but the ones that are real (like the one standing next to the bus driver) performs very well.